The value of human life has been degraded even below that of an animal. India is fast losing its tolerance to accept acts of dissent. The beef ban has been much politicised in our nation that we have lost three precious lives within a month in north India. 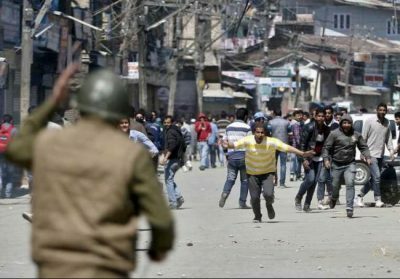 The latest death of Zahid, a teenager from Kashmir, has given a much needed spark to the existing turmoil of the valley. It has been a week now and Kashmir is shut against the cold murder of Zahid who was burned by a fanatic mob in Udhampur on October 9 when they hurled a petrol bomb on the truck he was travelling in. The curfew in the valley has severely hit normal life and there are everyday clashes between youth and police with regular injuries being reported in hospitals. The tension is brewing and people fear the situation might turn as ugly as 2008 where more than 500 youths died (killed). As a journalist, when I went to see Zahid’s mother—the hardest time in my life—she replied, “His desire to see India cost us his life.” The worst part of the misfortune was the hurling of tear gas and pepper gas by the police on the mourners of the Zahid—locals alleged it was on behest of BJP. Has extremism gone to such an extent in our nerves that Kashmiri legislator Engineer Sheikh Rasheed was welcomed with black ink in the capital of secular and democratic India? He was there with the kin of deceased Zahid to say a word against the Udhampur attack, which was his right to speak. But extremists put an ink blot one more time on the secular face of the nation and the legislator was successful in getting huge media attention—which many suggest here in the valley was his motive. Many extremists blamed Rasheed for the Udhampur killing citing the hosting of a beef party at Srinagar. But Rasheed defended the allegations with his argument citing SC stay on the archaic law of Maharaja’s time for two months—he told me this when I asked him while reporting. Many legal experts suggest in the valley, the law is old enough to be deleted as the “new constitution was adopted by JK constituent assembly in 1957.” But the BJP is tooth and nail opposed to this view and has conveyed to his coalition partner PDP to be cautious not to allow the anti beef ban bill recently in state assembly. The hate speeches of BJP and RSS in the Jammu region has turned the atmosphere so communal that people from the valley fear to travel to other provinces. The whole beef ban issue in the country is based entirely on a political agenda which is being played in the name of Hindutva. Its first victim was Muhammad Akhlaq who was lynched to death by a mob in Dadri after rumours spread in the area that he stored beef— a ridiculous life is decided by rumours now. How the BJP politicians have been belittling the attack and are trying to project it as just a ‘law and order’ issue of some miscreants is far from being fair. This is a clear case of religious fanaticism, reportseven suggesting it was pre-planned. The beef ban issue is being used by the ruling party as an escape to be answerable to the common people from other critical important issues related to development and prosperity. There is a total fault in the beef ban. In a modern secular state like India how can a state dictate terms as to what must be eaten and what not. Politicians have snowballed the issue and have been successful to bring it on a religious path where it is easy for them to fool hundreds and thousands of people. Many ‘shakahari’ and animal-lovers have come in support of the ban—more precisely to politicise and get media attention—but their reasoning lies on a faulty premise when they ask for a ban on a single animal and not all. Does only cow killing make them hurt? Why is the government forcing upper caste Hindutva ideologies on the remaining population of the country? If they say, Hindus never ate beef, then I am sorry but why was Buddhism born out if you really were vegetarians. The reality is Hindus used to sacrifice and consume beef on such a huge scale during both Vedic and post-Vedic ages that Buddhism was born out of sheer disgust as the amount of animal bloodshed for Hindu rituals and sacrifices was more than the consumption requirement of the population. But this call of Ahimsa was still not a call for vegetarianism. Even Buddhists continue to eat beef, so do many Hindu castes and communities for example in Kerala. The only real vegetarians in India are Jains. And again a political game was played by the Maharashtra government to ban beef during Jain festival which was criticised even by Jains. Beef is the cheapest meat available for those who find themselves unable to afford the most “unholy” chicken, fish, or mutton. It is proved by the latest NSSO data that reveals rural households consuming beef increased from 3.9% to 4% between 2010 and 2012 and urban households from 4.3% to 5%. As many as 80 million Indians consume beef. 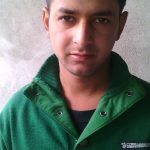 The author has a specialization in literary journalism and reports on conflict, politics, urban development, rural development, education and environment in Indian Administered Kashmir. 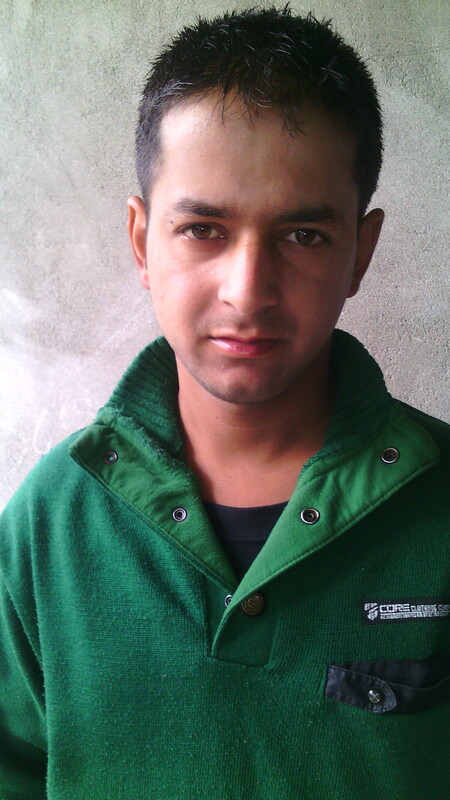 You can read his stories on www.irfanrashidjournalist.wordpress.com and can follow him on @irfan_kashmiri.